SKU: WBS32RZS-SGF Category: Tama Kits Tag: NAMM2019 Barcode: WBS32RZS-SGF. After intense analysis, rigorous research, development and product testing – Tama have arrived at the latest Starclassic modern development – Starclassic Walnut/Birch. They discovered the perfect ratio of walnut to birch that produced a superior quality of low-to-mid frequency warmth that perfectly complemented the clear attack and higher frequency projection of birch. 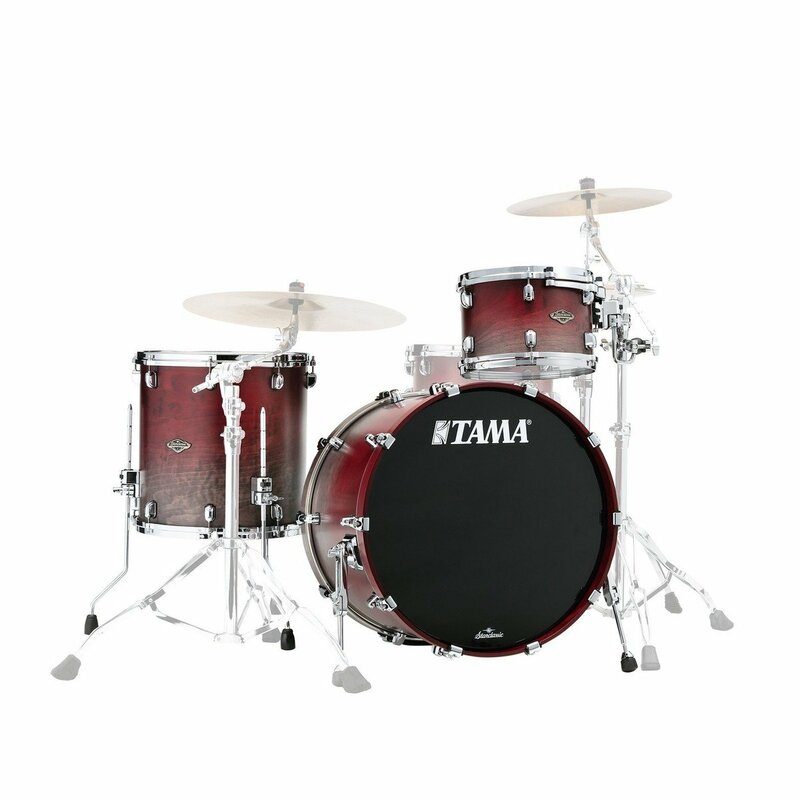 The sound is familiar, but distinctively different from Tama sounds of the past. 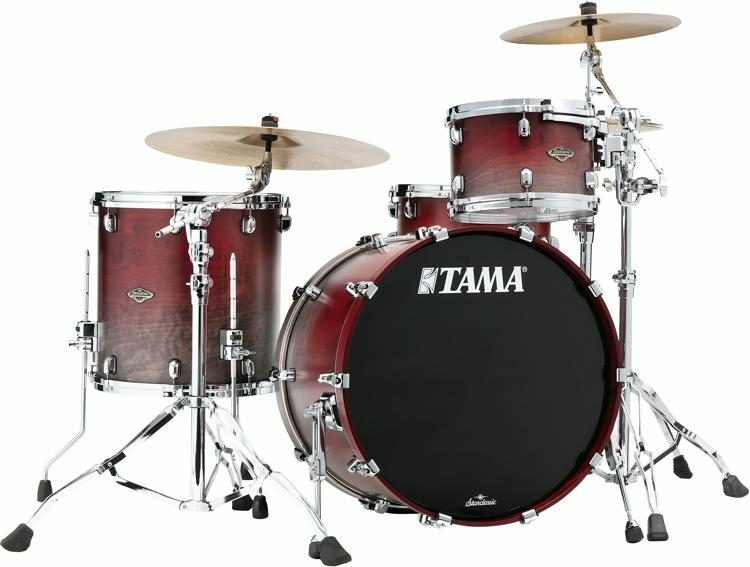 The Starclassic series continues to be a representation of Tama’s collective drum-making passion, wisdom and pursuit to offer refined and differentiated sounds. The tom shells are made from 6mm 4-ply European birch, with a 2-ply inner layer of American black walnut. This combination provides superior quality warmth and richness, with the solid attack of birch for uncompromising tone. The die-cast hoops wrap it up nicely to bring controlled sustain and more clarity to the overall tone. These drums produce a focused attack that would bring great distinction to any musical ensemble. Please Note: There is no hardware, cymbals or snare included with this shell pack.